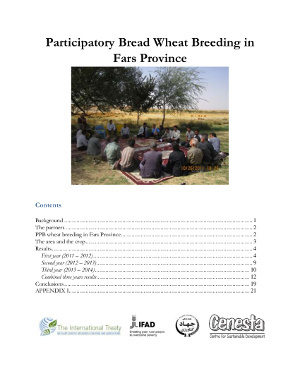 Implementation of Farmers’ Rights in the Islamic Republic of Iran, this report was prepared by CENESTA at the invitation of the Secretariat of the International Treaty on Plant Genetic Resources for Food and Agriculture, according to a decision of the Third Session of its Governing Body. Farmers make up an important portion of the Iranian population (25%) and economy(20%). The vast majority of Iranian farmers are small holders (75% of farmers have less than 5 hectares of land) and rely mainly on farm-saved seed. 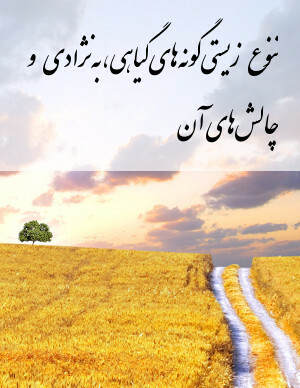 Iran ratified the International Treaty on Plant Genetic Resources for Food and Agriculture in 2006. While the Treaty does not give a detailed description of Farmers’ Rights (see text of Article 9 in Annex 1), many attempts during and since the adoption of the Treaty have been made to define it. This document refers to outcome of these efforts in its definition of Farmers’ Rights.